Masters sets are kind of the best, right? 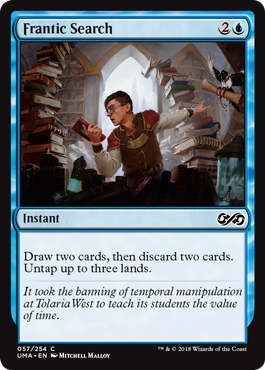 The fine folks in Wizards of the Coast R&D use any cards from the past they want to make a super sweet Limited environment. And I guess you could open some sweet collectable rares too while you're at it. 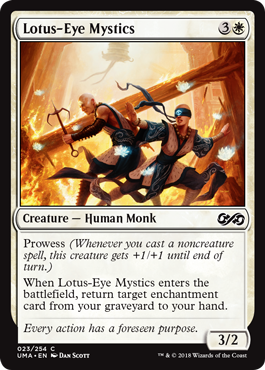 That said, Wizards has said that Ultimate Masters will be the last Masters set for the foreseeable future, making way for other products that will also include reprints. Let's make sure to enjoy this one, shall we? The majority of my readers are only going to get to draft Ultimate Masters once or twice, so preparing by doing some reading can go a long way toward avoiding the dreaded train wreck draft we all fear. With that in mind, let's get into the broad strokes of the colors and what they are up to in this set. 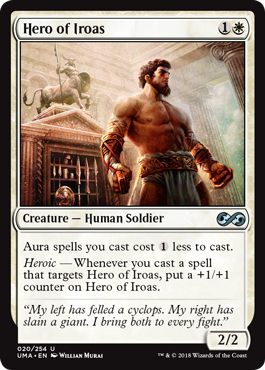 White sees the return of the heroic mechanic from Theros, as well as a heavy Aura sub-theme to go with it. 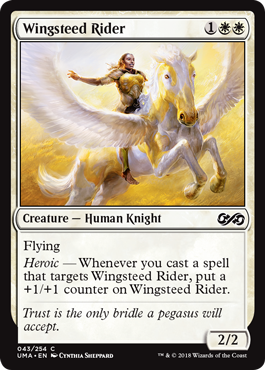 Heroic was referred to as a kind of "battlecruiser" mechanic as it encouraged you to pile a bunch of Auras and combat tricks onto one heroic creature. As you can see, these cards are just begging to have some Auras thrown on them. 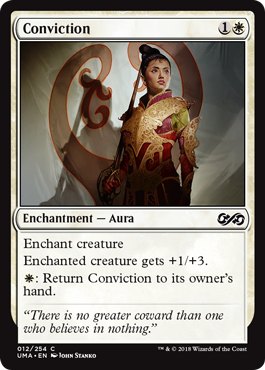 Auras are a great way to do this because not only do you get the +1/+1 counter, you'll get more power, toughness, and abilities as well. 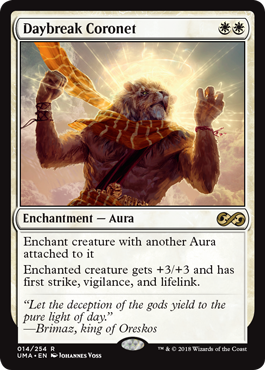 The problem—as is always the case with Auras—is that putting all of your eggs in that one basket is risky business. 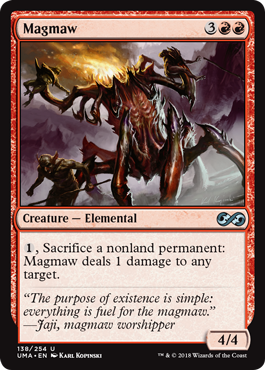 The solutions in Ultimate Masters are the Umbras from Rise of the Eldrazi. 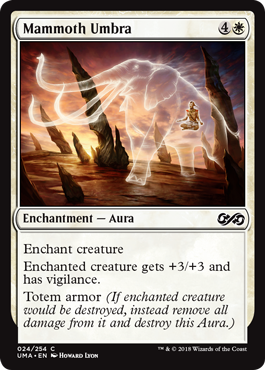 They have an ability called totem armor, which protects the creature by cashing in the Aura itself whenever the creature would be destroyed, thus saving the creature. There are even ways in white to search up and get back Auras. 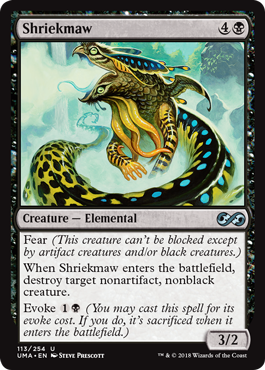 This varies wildly from white's normal approach of going wide with a bunch of small creatures. If you can make a huge creature and protect it, though, you'll be in good shape to win the game. 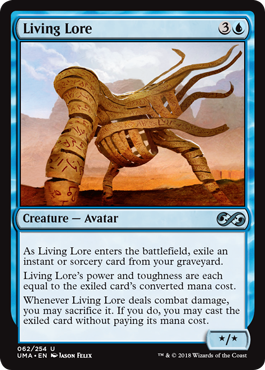 Blue seems to be a big-time enabler for many of the strategies you'll find in Ultimate Masters. Filling the graveyard, discarding cards, flashing stuff back, and somehow even getting back Auras are all included in the blue slice of the color pie this time around. The "filling the graveyard" part seems to be key here. 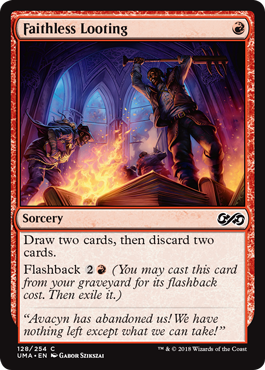 These cards (and a few others) can fill up the graveyard quickly and set you up to get value from the various delve, flashback, and dredge cards in the set. When it comes to moving cards from one zone to another, blue has all the tools at its disposal. 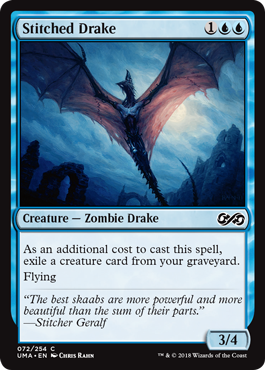 I am looking to combine it with colors that also have strong graveyard synergies. Black, as you may have assumed, is all about the graveyard. 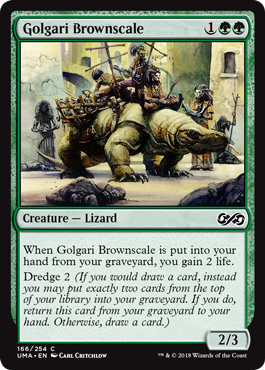 Dredge is back, and assuming you have a way to get the dredging going, it's a great way to fill up the graveyard quickly. 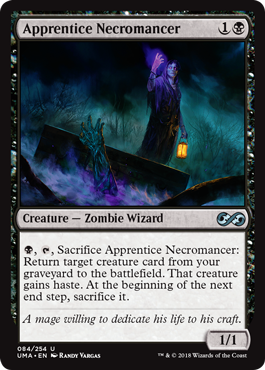 Using the graveyard as a sort of secondary value source is going to be key in Ultimate Masters, and black makes it easy to fill the graveyard fast. 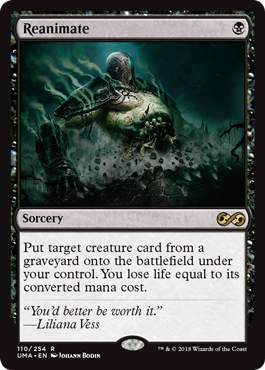 The key with the dredge cards is that you have to get them in the graveyard to start with, and that can be tricky. 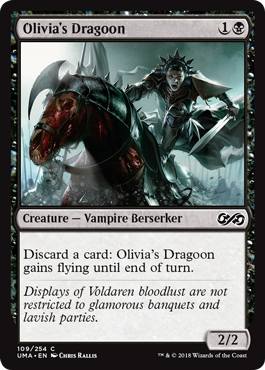 Cards like Olivia's Dragoon can pull double duty by enabling madness cards and also by putting dredge cards in the graveyard. The payoffs just in black are nice, and when you start adding in other colors they get really nice. 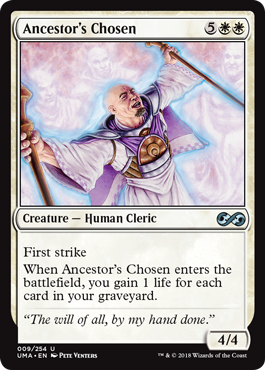 Some cards are just happy to be in the graveyard, namely cards with flashback. 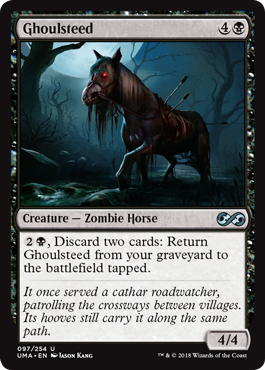 But some individual cards also have the ability to come back from the graveyard, like Ghoulsteed, and those count as good graveyard value cards as well. 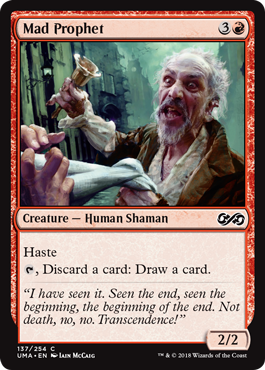 Sometimes a flashback card is "free" since you milled it into your graveyard anyway, but other times you get to use a mini Reanimator sub-theme to get back some disgusting bomb from your graveyard. 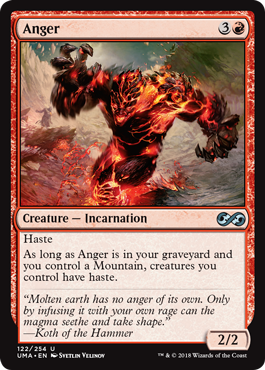 Red is usually aggressive, and in Ultimate Masters, it looks like that's still the case. 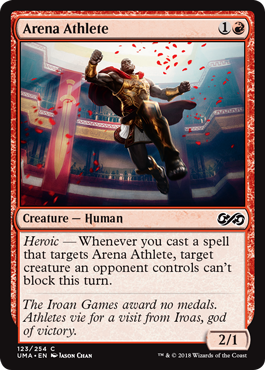 Red gets the heroic ability on a few commons and has a lot of fast payoffs for it. 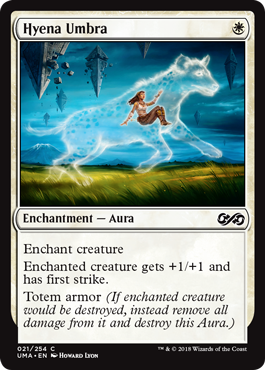 The Auras we talked about in white will work just fine here, but remember that heroic triggers off of any spell targeting the creature. 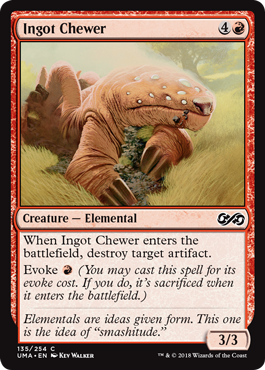 These cheap, reusable ways to target your creatures and get in for extra damage pile up quickly, especially if you target a heroic creature. Madness is also prevalent in red. 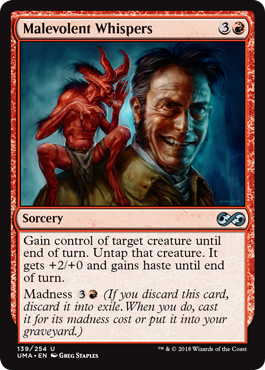 The payoffs are pretty good, but the keys here are the ways red has to discard the madness cards for value. The payoffs are pretty good too, and well rounded. 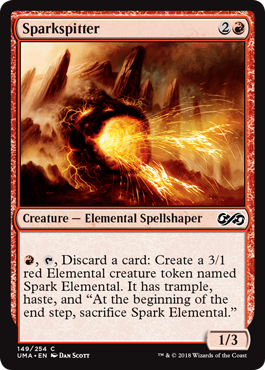 A burn spell, an undercosted creature, and a super trick if you time it right. Red has some of the normal aggressive trappings we expect, but it throws us a nice curveball with the madness and graveyard-based stuff, just to keep us on our toes. 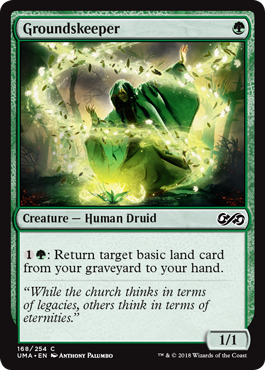 I know it's weird to say, but once again, ye olde graveyard is at the center of much of what is going on with green. 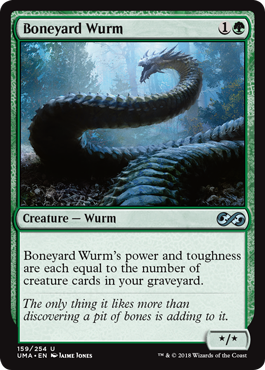 Sure, you'll get some big beefers and cool combat trick–type stuff, but check out all of these cards that care about the graveyard! I only got to h there before feeling like the point was made. Green cares about the graveyard! 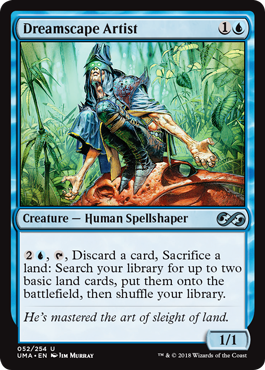 With dredge being front and center, it has the ability to get a lot of cards in the yard quickly. The tricky part is getting the dredge cards in the yard in the first place. 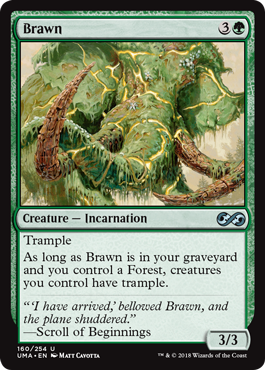 I feel like green may need a little help to get rolling, but once it does, it looks to have some very solid engines to abuse the graveyard. 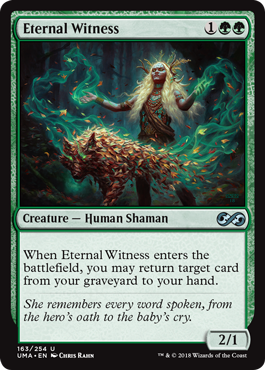 Every color in this set has multiple cards that care about the graveyard in some way. 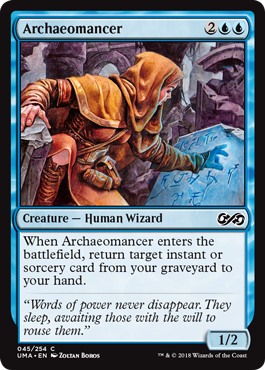 With keyword abilities like madness, flashback, delve, and dredge, there is a strong value undercurrent, mostly centering on the graveyard and getting cards into it. What Do I Draft Though? People who want to beat down. People who want to get value. People who want to do weird stuff. And it just so happens that I've chosen a starting-point deck for each of you! Since the people who want to beat down are probably the least patient of the bunch, we'll start there. 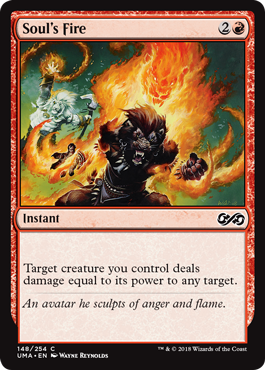 In this archetype, you get to combine the raw power of the heroic cards in both red and white with the combat tricks and Auras from both colors to make huge, powerful threats way earlier in the game than you rightfully should be able. 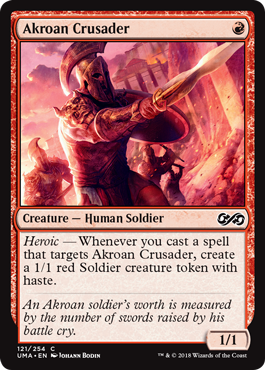 Phalanx Leader may be the best of the bunch, but Hero of Iroas was the recipient of a nice rarity downgrade from its original printing. It used to be a full-on rare! 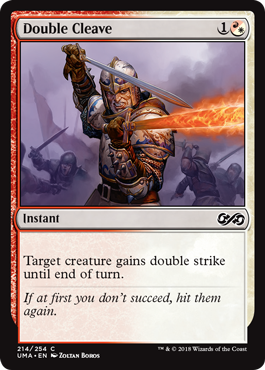 To get the +1/+1 counters and bonus stuff flowing, you'll need a good mix of Auras and combat tricks. 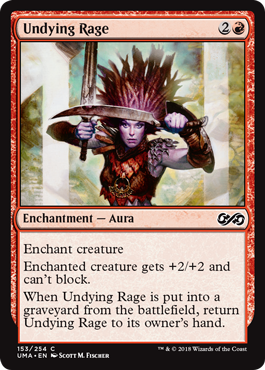 Conviction and Undying Rage have the ability to be cast multiple times over the course of a game, garnering a lot of heroic triggers in the process. Mammoth Umbra creates a huge threat that is hard to race and also hard to kill—a nice combo. I do not recommend trying this one, even in this deck. That said, if you do manage to get it on a creature, you are very likely winning the game. 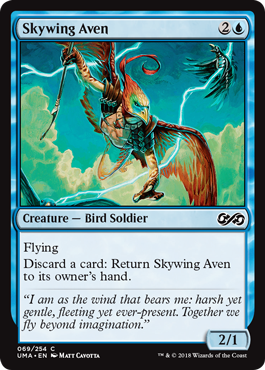 This deck prioritizes getting on the board and then taking advantage of the tempo plays provided by the powerful Auras in the set combined with heroic for a punch that most decks can't take early. Remember though, it's a fragile combination, and if it does get broken up, you'll find yourself in a bad spot, so be careful when deploying your Auras! Next up is the deck for the people that want to do something a little weird. Hold on just a second there, bucko. 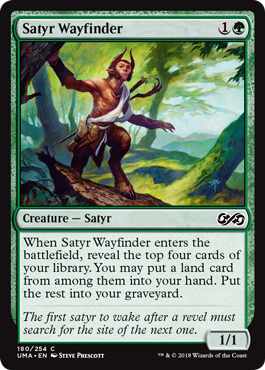 I know you probably are thinking that this is the deck where you play cheap sacrifice outlets, then attempt to use some kind of spell to steal a creature from your opponent and then sacrifice it for value. While it is true that you can do that here, that's not what this deck is entirely about. It goes a bit deeper as you'll see. This is a sweet little build-around uncommon and it can do some real work in the right shell. 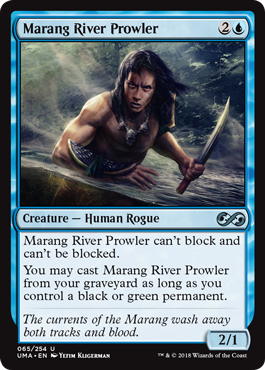 Throwing around 2 damage for a couple of mana adds up quickly and lets you either take over the board or start chipping away at your opponent's life total. This type of card shows what this kind of deck is about. It's about incremental advantage that adds up to a win. Usually the advantage is through damage. 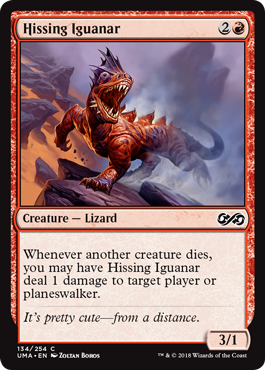 Hissing Iguanar is the exact type of card you want for this deck. 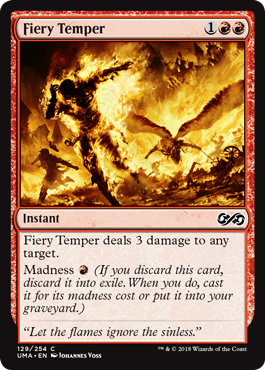 Your opponent will not want to use good removal on this annoying 3/1 body, but the longer it sits there, the more chip damage they take. By the end, they'll wish they had just killed it. 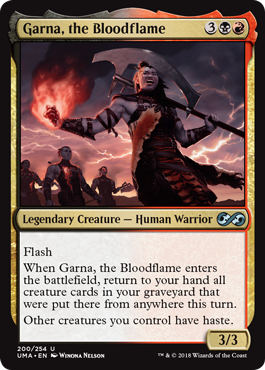 Magmaw is a powerhouse enabler and finisher for decks like this, and the thought of Garna, the Bloodflame going off in this deck is just delightful. 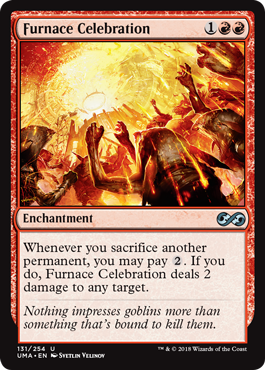 Don't forget that evoke creatures are sacrificed if you evoke them as well, so they'll trigger your "cares about sacrifice" cards too! And lastly, for the most patient group: people who want value. Self-mill decks are a personal favorite of mine. This self-mill deck looks incredible on paper, and I'm really hoping it delivers in person. 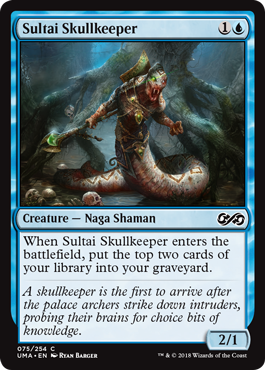 The idea is that you use different cards to mill your own cards into your own graveyard and then profit from said cards. 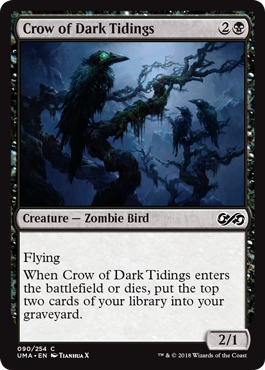 On top of these, there are the black dredge cards we mentioned before, and, as expected, some cards that will get into the graveyard over the course of a normal game of Magic. Once they are there, you have a tremendous resource from which to glean that precious value. 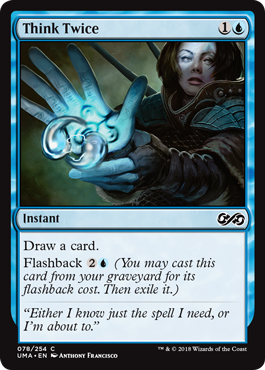 Flashback and delve are your two headliners here, but there are plenty of cards that simply care about certain cards in the graveyard. Infinite value to be had, and that's without touching the rares! I love decks like this, and this will be my first stop on the long road to Value Town. Love it. Welcome back, buddy. 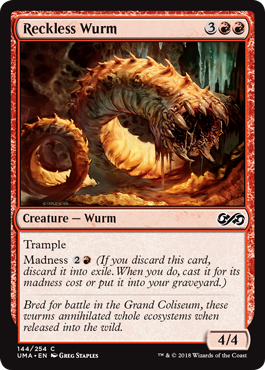 This set looks like an absurd arrangement of value cards with madness, delve, flashback, dredge, heroic, and about a million ways to abuse the graveyard.